The strong morning sun shone on the board and batten cladding of our house, loved the play of light and shadows. Unidentified spider. Perfect balance of light and dark. 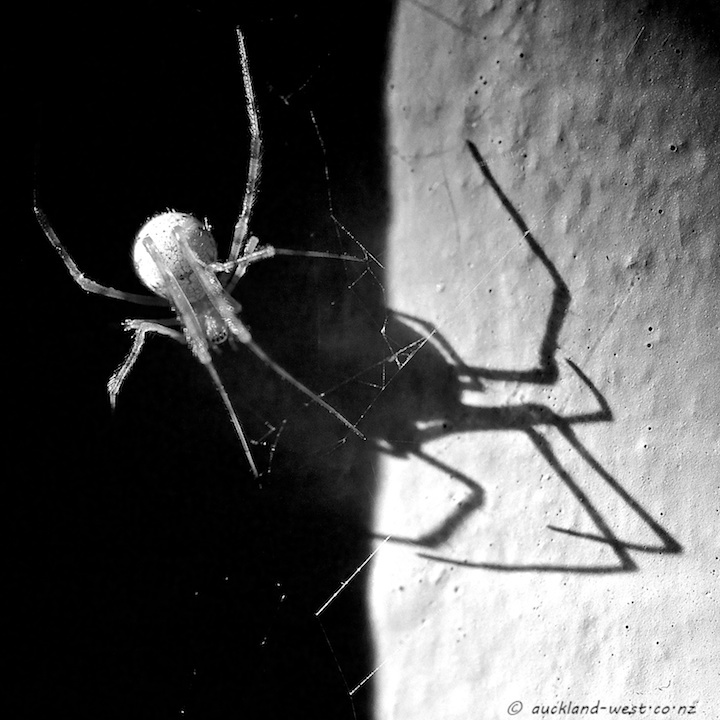 The spider’s shadow looks ominous. Quite a capture of the critter! Very nice. What a wonderful capture.